A quickie today; it’s Friday evening and I’m plum-tuckered. 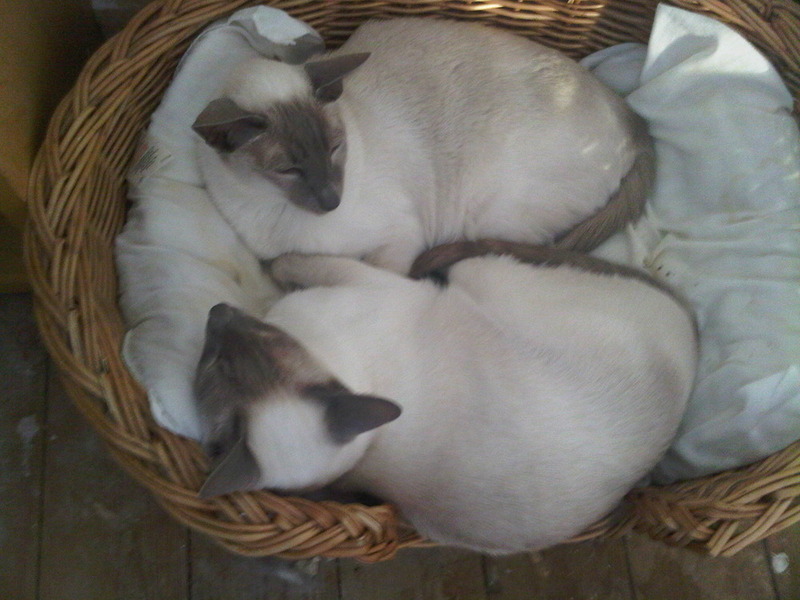 Willow and Rosie have annexed the basket Pushkin used to sleep in. His scent must have faded since he passed away in February.